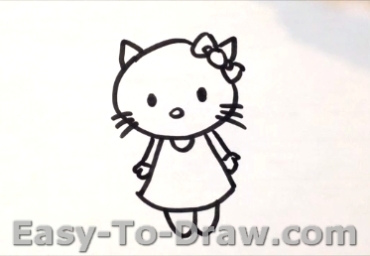 Hello Kitty (full name Kitty White ) is a fictional character produced by the Japanese company Sanrio, created by Yuko Shimizu and currently designed by Yuko Yamaguchi. She is depicted as an anthropomorphic white Japanese bobtail cat with a red bow. The character’s first appearance on an item, a vinyl coin purse, was introduced in Japan in 1974 and brought to the United States in 1976. The character is a staple of the kawaii segment of Japanese popular culture. By 2010, Sanrio had groomed Hello Kitty into a global marketing phenomenon worth $5 billion a year. By 2014, when Hello Kitty was 40 years old, it was worth $7 billion a year, all without any advertising. Originally aimed at pre-adolescent females, Hello Kitty’s market has broadened to include adult consumers. She can be found on a variety of products ranging from school supplies to fashion accessories and high-end consumer products. Several Hello Kitty TV series, targeted towards young children, have been produced. Hello Kitty is also the main character at the two Japanese Sanrio theme parks, Harmonyland and the indoor Sanrio Puroland. 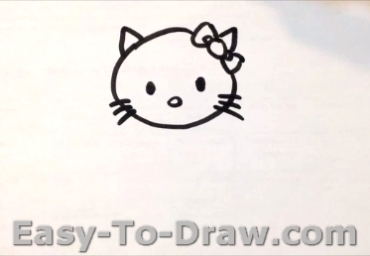 Here are the steps to draw a Hello Kitty. Enjoy! 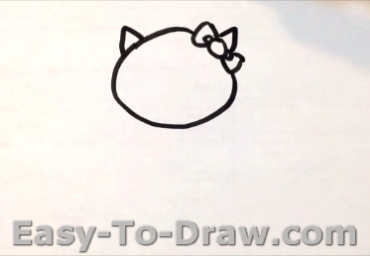 Step 1: Draw the face, two ears with a bow-knot. 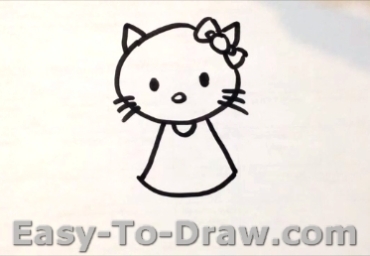 Step 2: Draw two eyes, one nose and whiskers on her face. Step 3: Draw her body and skirt. Step 4: Draw her cute legs. 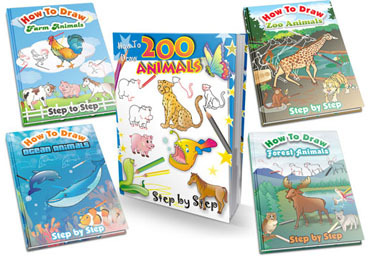 Step 5: Draw two arms and two hands. Step 6: Color the bow-knot and shirt red, skirt pink with blue buttons on it. 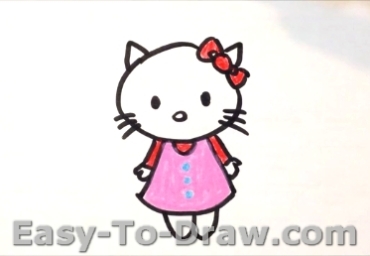 Hello hello kitty! Play with us today! 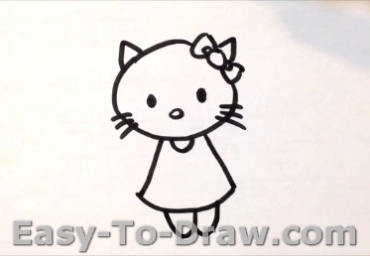 Hello Kitty Video Drawing Tutorial for kids!